"One of the best stats tool in the market"
Not much, Just sometimes, when deleting a profile, it freezes up for a while. eventually it gives control back to the browser, with everything new is something that must be overcome. However things with last major upgrade are more organized and where they should be. SmarterTools constantly updates this tool and for great reasons I highly recommend it, cost is very reasonable also! "Great new product for the company"
My company got this product with the prime purpose of investing in the software solution to boost efficiency and growth. We are also using web analytics services of the software to provide detailed statistics about customer visits and search engine links with the website. Information related to the customers includes things such as their location, language, visit frequency, and other parameters. The software maintains the difference between common visitors and search engine bots. There is not a whole lot that my company didn't like about this product. The only real downside was the installation charges and fees because we happened to be charged per terminal. We read that it depended on the vendor so I would suggest doing a little research into that before you settle on a certain charge. In addition I would recommend working with the vendor to see if there is a free trial run period that will allow you to work out any bugs while in the preliminary phases. I am a part of a business that is growing rapidly and will definitely expand in the future. Because of this, the company has website analysis requirements with it. 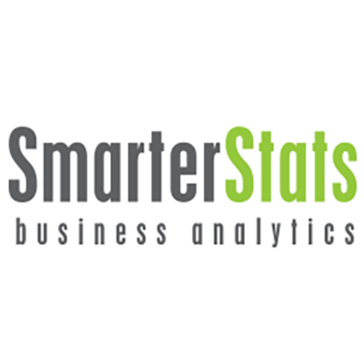 SmarterStats is scalable and will grow with us so we are able to utilize it to help with analysis of that growth. SmarterStats also offers tracking of multiple Google search terms, comparison of keyword performance, identification of successful SEO strategies, and monitoring of websites to locate keywords that can be removed. This optimization has helped to improve the performance of website and to make it more compatible with the search engines. * We monitor all SmarterStats reviews to prevent fraudulent reviews and keep review quality high. We do not post reviews by company employees or direct competitors. Validated reviews require the user to submit a screenshot of the product containing their user ID, in order to verify a user is an actual user of the product. Hi there! Are you looking to implement a solution like SmarterStats?